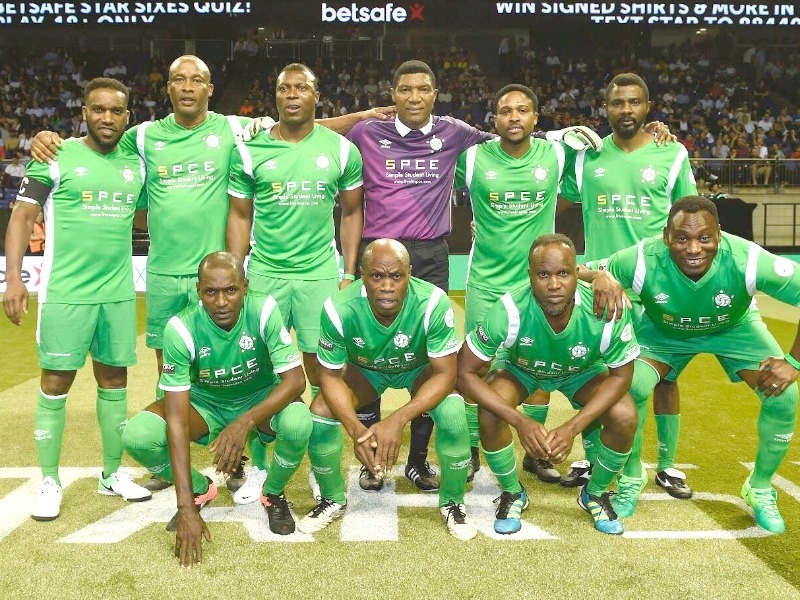 Nigerian legends taking part in the Star Sixes tournament have been dumped out by the star-studded Brazilian team who beat them 3-0 on Saturday. The injury-hit Nigerian team were unable to match the firepower of the Brazilians. Brazil were rampant against Nigeria, with former Sevilla, Real Madrid and Arsenal star Julio Baptista opening the scoring. It was 2-0 when former Manchester City forward Elano tapped home from close range before ex-Middlesbrough talisman Juninho swept in a stylish third goal to seal his nation's place in the last eight. Brazil, Spain, England and Italy all won to qualify for the quarter-final of the 2017 Star Sixes at London's O2 Arena.